Asher Roth & Chuck Inglish Team Up On "Can't Jump"
Home>New Songs>Asher Roth Songs> Asher Roth & Chuck Inglish Team Up On "Can't Jump"
Asher Roth teams up with Chuck Inglish for their new collab, "Can't Jump." Every so often, Asher Roth comes out of hiding to drop off some new music. It's a rare occurrence that happens a few times throughout the year but Asher Roth rarely disappoints. With March Madness kicking off today, Asher Roth blesses us with some new music alongside Chuck Inglish. Asher Roth delivers some groovy vibes with Chuck Inglish on their new collaboration, "Can't Jump," a song released in celebration of March Madness. The track was produced by Inglish who delivers a disco-clubby beat for himself and Asher Roth to talk their ish on. Roth and Inglish boast about their athletic skills on wax. This serves as Roth's first release of 2019 as well as his first drop since releasing "Pantophobia" around the holidays. Peep their new track below. 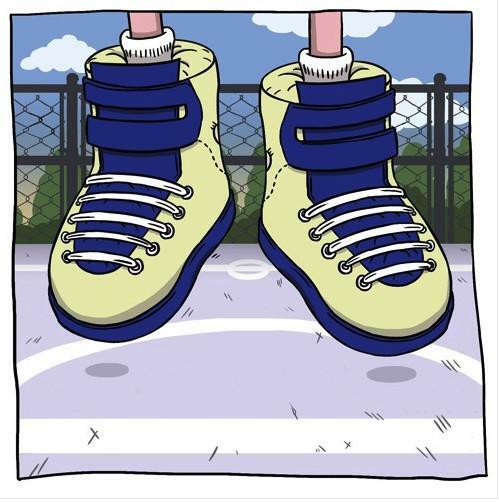 Tierra Whack Comes Through With New Single "Unemployed"
SONGS Asher Roth & Chuck Inglish Team Up On "Can't Jump"